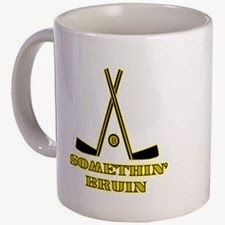 What's Bruin' in the morning? It'll be a disgusting muggy day today in Boston, it actually already is, so how about some ice hockey to cool your morning down and make it more bearable? Well here is the news from around the NHL and locally. - Have you ever thought to yourself, "man, I wish I knew what Kevan Millers work out routine was like". Of course you did. Now, you can find out, just go to bruins.nhl.com to follow bear tracks and get a closer look at some of the Bruins best players for a hockey fix. - The Leafs GM said that he doesn't feel there has been any problems in contract talks with RFA Jake Gardiner. He is easily comparable to an older Dougie Hamilton. - University of Maine alumni Jimmy Howard told the Detroit News that “I can be a lot better, a lot more consistent,”. The Wings will need Howard to step up his game if they want a deep playoff run. - The Rangers have avoided arbitration and signed Derek Brassard to a 5 year $25 million dollar deal. Brassard has been a key piece in Vignault's new system. - PK Subban said that he wants to be a Montreal "lifer" meaning he wants to spend his whole career there. The Habs and Subban have often had negotiation problems but things usually work out in the end. Or if you're in Montreal, work oat.